1. Make a small room look larger. 2. Make a large room cozier. 3. Create a designer home…without the designer. that works. 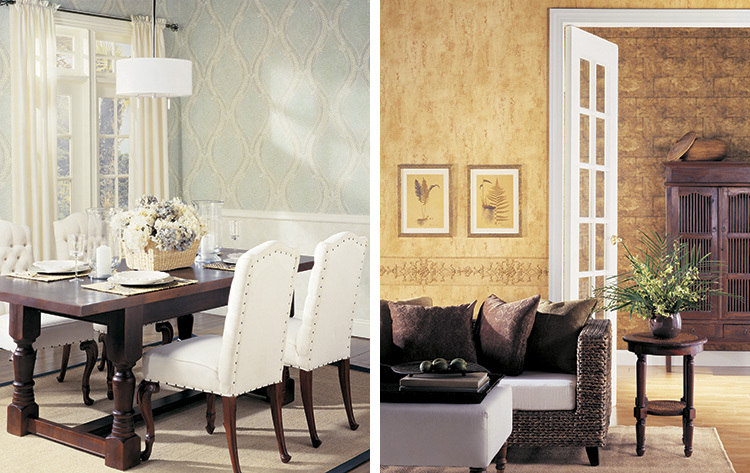 Choosing wallpaper that inspires you is the best place to start. Wallpaper is pre-designed. using the colours in the wallpaper as a guideline. 4. 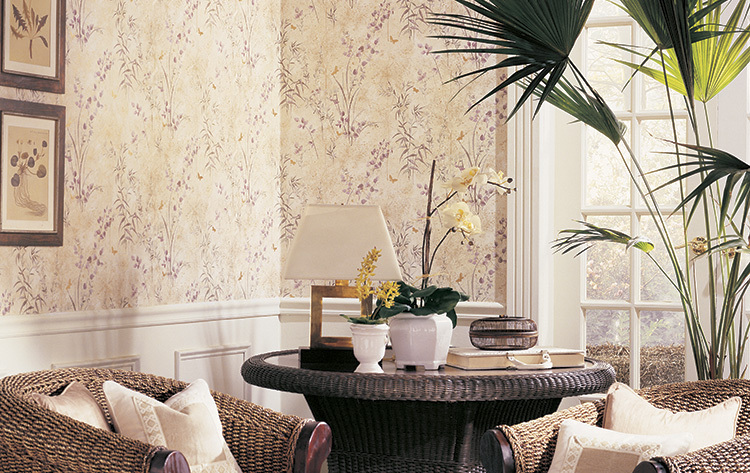 Instant sophistication with wallpaper. and the appearance of luxurious fabrics, woods or stones at a fraction of the cost of the real thing. visual texture to an otherwise bland décor. 5. Textured solution. Give your room tactile presence. so can wallpaper. Add another dimension to your walls that can appeal to your sense of touch. Add texture and rich patterning. Give your look a touch of opulence. 6. Bring drama into your home. afraid to use dark colours in small spaces. 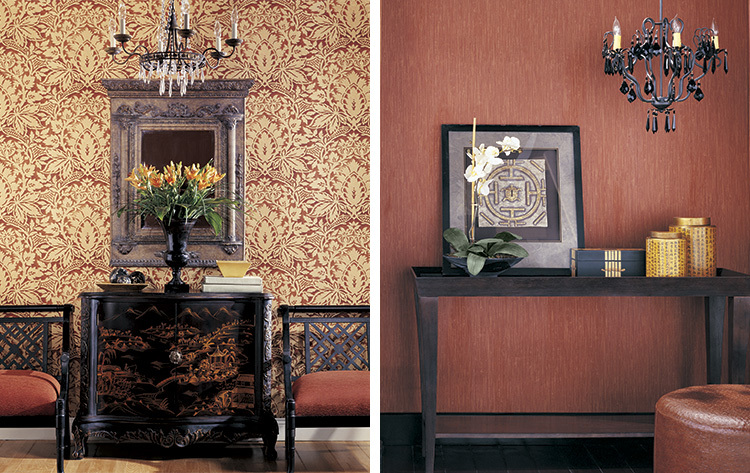 High-contrast wallcoverings create a dramatic affect. 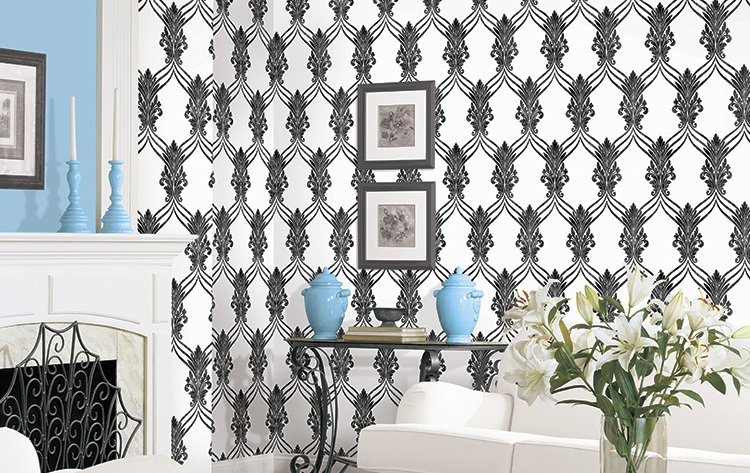 Experience a new way of looking at wallpaper! 7. An easy way to give a room a theme! accessories are all you need. 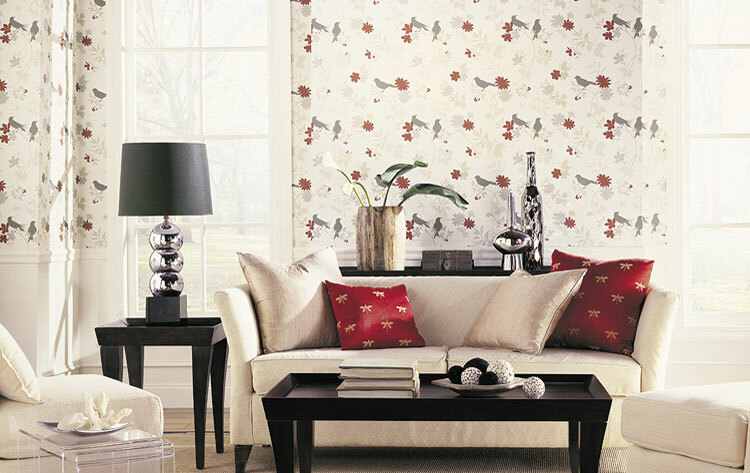 Express yourself and personalize your space! 8. Ideal for hiding minor wall imperfections. wood paneling, or uneven drywall. 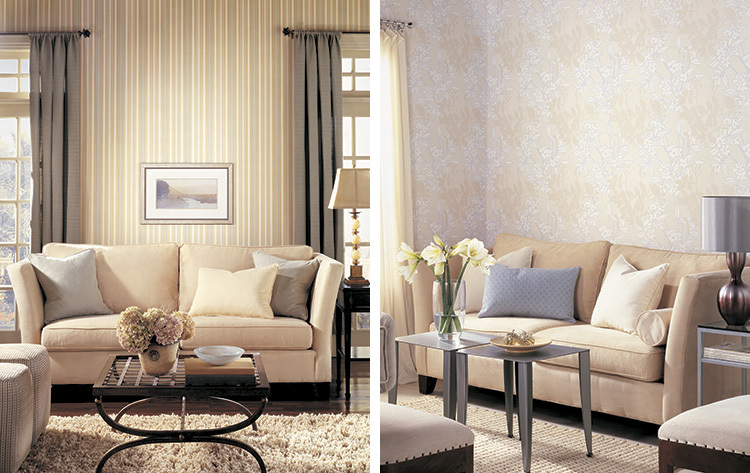 Wallpaper can give you the seamless look of a brand new wall.